Are you seeking lasting change? Sending love to anyone who is trying to heal from things they do not wish to discuss. So many people I know suffer, including myself at times, so I am hoping my post will resonate with you. This is why I felt drawn to write about this topic to create more awareness on it. I feel it is an important message as you can never really tell what is going on even when you know someone really well which is why I wanted to bring more attention to it. There are always lots of 'love and light' posts on social media and write ups in self help books which are also really important as they do help bring positive energies in and definitely make people feel better the more you use them, however I feel I need to talk about the side where it can be uncomfortable and tricky too. During your time here you will go through so many emotions and sometimes many different ones in a day. It is all perfectly o.k. as there is no right or wrong with your emotions and your feelings. We all have different experiences and soul lessons which can bring up an array of emotions to go through. Some of the strongest people I know are battling deep emotions that they are dealing with as well as self worth. So many people won't tell you what is going on and when they are struggling and are very good at hiding things. Some on the other hand are very vocal about their worries and problems and that's perfect too. Like I said there is no right or wrong way to express how you feel as it can be a combination of the two as well. Sometimes you may wish to share things and sometimes not.You have to do what is right for you, in your own way. Your own expression is vital for you. It is personal and your journey is sacred and you will learn a lot about who you are and what works for you. Who you chose to share that with and your vulnerabilities is also sacred so make sure you share with someone you feel comfortable with, someone you know that will listen to you and lovingly hold the space while you work through it. Mental and spiritual health are huge subjects and we are all learning more and more about it. Ranging from low moods, bad feelings about yourself even the small niggly ones, all the way up to self loathing, anxiety, grief, deep depression and schizophrenia. We are learning all the time and no one's pain is any lesser than anyone else. Pain is pain. Please know that you are never alone even if you feel that you are. There is always someone to help and listen. It can get better I promise. There are so many beautiful books and lots of wisdom out there now to help you understand yourselves more. 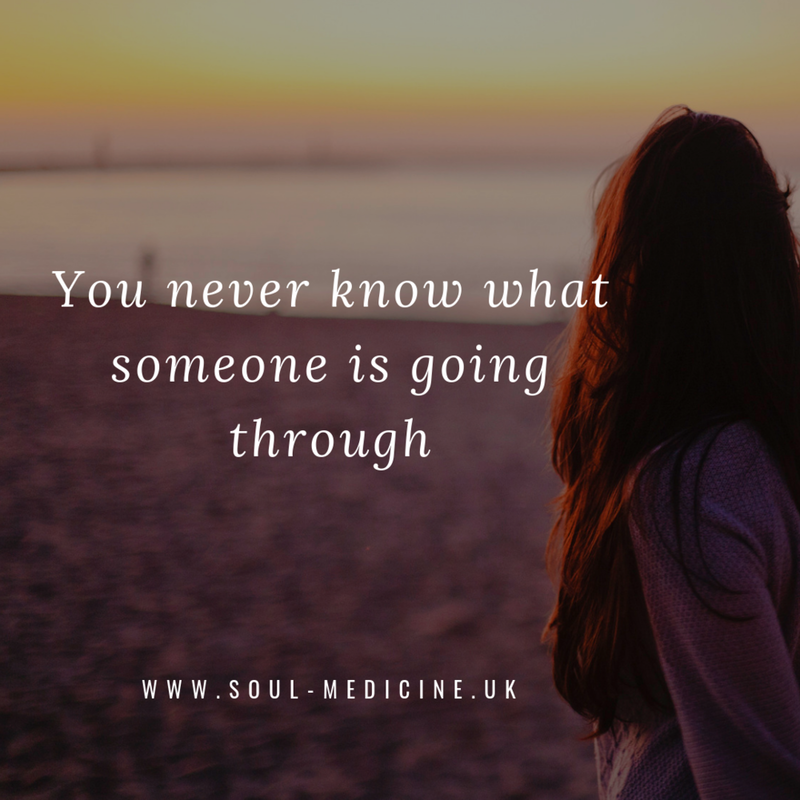 Some things can take time and you may need some help along the way especially from a well being specialist. It is also important to reach out to caring friends, family and other people you know such as work colleagues. I am a huge believer that the right person shows up when you need them the most. Spend some time silently asking for help as the Universe is always listening and wanting to help you. Whether you believe in angels or not they are listening and want to help. They will bring people and situations on your path to help you and it can be from a conversation with a complete stranger or an on-line blog post. I will never forget when I was going through something really painful in my life, I prayed to the Universe for some help. The next day a friend called me up, said they had been thinking about me and their advice helped me so much. Remembering to also speak to health professionals too, the more you reach out the more information you can receive. It is about covering things holistically from all angles. Don't beat yourself up anymore than you may have already done. Nothing is wrong with you. Everyone goes through tricky times. Try and fill yourself up with some more self love even if you don't feel like it. Each some cake or chocolate, buy yourself some flowers, have a nurturing bath or watch a funny film. Anything you do will help you on your journey to feeling better. These times can be when have your most spiritual growth. Accept yourself just as you are and show willingness to heal. I love the fact that people like Ruby Wax and Russel Brand are speaking out more about mental health. It really is raising awareness for us all. Sending love to anyone right now who may need it. If you notice someone you know and love acting a bit differently then reach out and see if they are o.k. This time of year can be hard for many, especially elderly people and others who may live alone. I will be writing another blog soon about how to feel better during winter so look out for that too as there will be some tips and advice in there too. Always here if you have any questions.